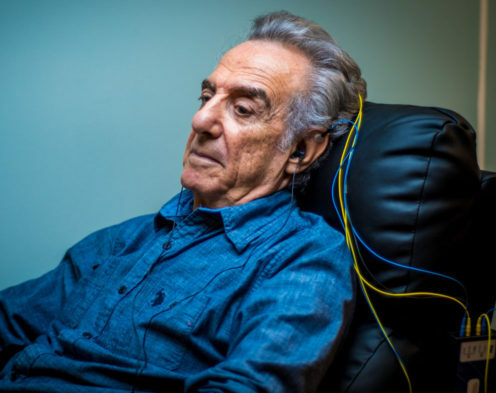 What is neurofeedback and what can the NeurOptimal® system do for me? to communicate directly with your central nervous system (CNS),” harmlessly and effortlessly in 33-minute sessions, to move your brain into optimal functioning. It is simple, cannot hurt you, and no matter what CNS dysfunctions you suffer with, it will definitely help you. Is this system safe for children and the elderly? Yes! 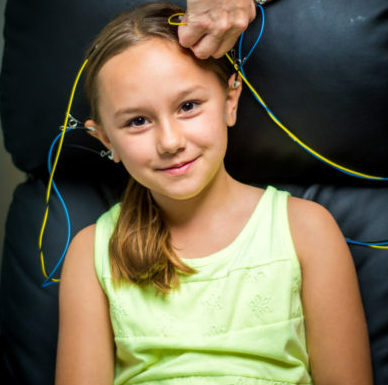 The NeurOptimal® system is safe for people of all ages from infants to and age adult. We encourage you to use it as a way to help your family’s brain functioning in one of the healthiest possible ways. Wellness, academic, job, sports enhancement. Elimination or reduction of stress, anxiety, depression, ADD, ADHD, OCD, PTSD. Improvement of focus, attention, concentration, retention, reduction of test anxiety. Facilitate return of veterans into home and work life. Optimizing intelligence with improved brain function. As part of an anti-aging program. Enriching partner, family and work relationships. Think of your brain as a symphony with different sections — horns, strings, percussion … and each one is a different frequency in your brain. Often, our brains are playing horns when it should be playing strings, or the entire orchestra is not playing together in a synchronized way. These very common issues inhibit healthy function. This can happen for a variety of reasons, such as inconsistency or abrupt changes in electrical activity in the brain, which undermines optimal functioning of the brain. This is why so many families of military veterans say their loved one came back from the war zone, “A different person.” The fact is, for these veterans their brain went through a drastic change, and science tells us that it can initiate a brain deterioration process for them. Luckily, for many of us, the dysfunctions occur in a much more subtle way, but what the NeuroOptimal system does is take advantage of the brains inherent ability to self-correct when given the right information. Your brain wants to function correctly, it wants to please! This system is designed to provide the brain with the information it needs to make its own adjustments. During a session, you will be listening to music we provide with the system. NeurOptimal detects the abrupt changes in the brain frequencies and informs the brain of these sudden shifts through interruptions in the sound you are listening to. When we use the system ourselves we note than we barely notice the music being interrupted, but the brain does. The almost imperceptible pauses in the music invite your central nervous system to pull away from this less-than-ideal path it was on. This happens over and over until the natural self-correction becomes your new normal and your brain functions more efficiently, effectively and comfortably. When this happens, you sleep better, are less stressed, can focus more easily and feel the joy of an easier life, despite the challenges you may face from the outside. For more information we invite you to visit the NeuroOptimal web site, or to seek out independent feedback by researching it on your own. Before you begin you will be asked to fill out a few quick forms that we will use to help you measure your progress. You will sit in a comfortable chair and simply relax. 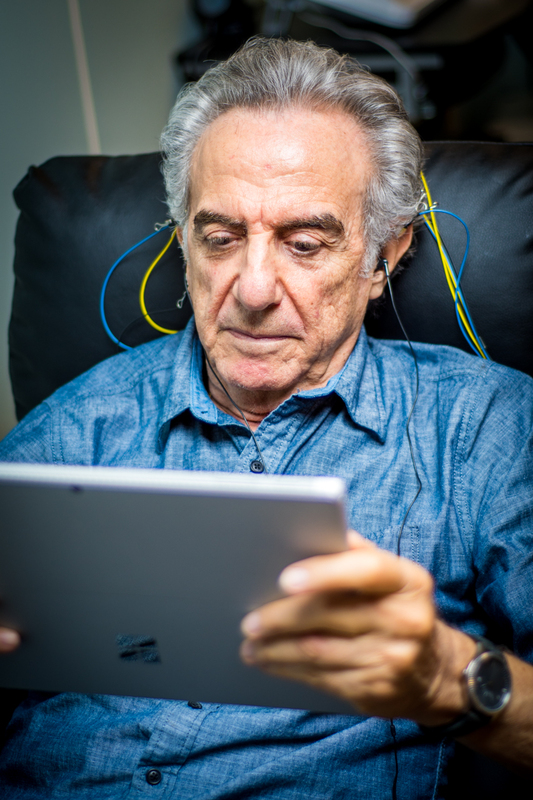 Two tiny sensors are applied to your scalp and ear clips to your ears that our connected to a laptop computer that contains the NeurOptimal® technology. These sensors do not “do” anything to you. All they do is read your brain wave signals and allow the NeurOptimal to read the delicate electrical activity of your brain, much like an EKG reads your heart, while you listen to music. You can do nothing while this occurs, you can rest, play with your phone, read or play a game, it doesn’t matter. You’ll notice the very brief pauses in the music that almost sound like slight static on a radio. This indicates that NeurOptimal® is at work, invisibly guiding you through a complex mathematical dance during which the challenge to your brain is varied. Despite the complexity that goes on during your short session, no effort is required from you during sessions, at all! 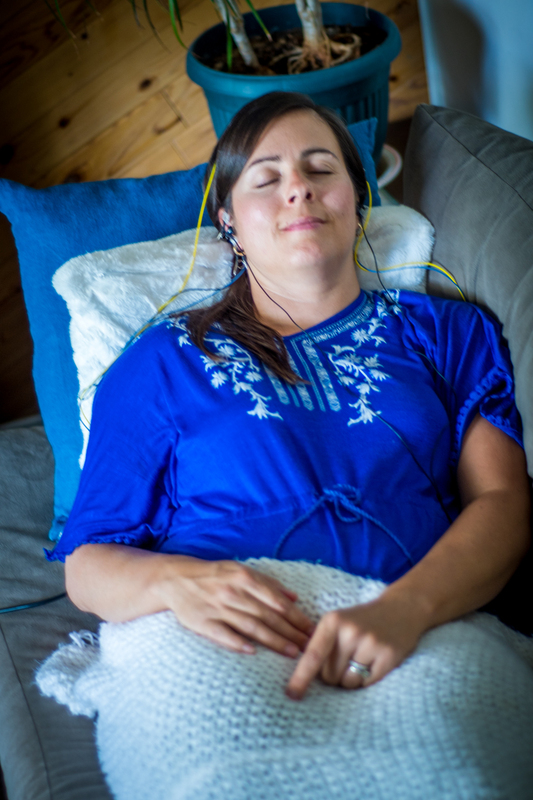 Simply relax and enjoy the 33.5-minute session while your brain re-organizes itself. Because everyone’s central nervous system is different, it is not possible to predict exactly how your brain will respond to the NeurOptimal system or how quickly, but because the Zengar company has over three million hours of experience with the technology, they offer predictions. The good thing is you will know pretty quickly when it is helping you, and we have progress tracking tools to help you document your training. Just as in learning to read, it is a process, and everyone learns and responds differently. So, how many sessions will it take for me to complete my training? This depends partly upon your goals. If you are training to feel better quickly, you might decide after 10-12 sessions that you have made enough gains and stop. On the other hand, if you are looking for lasting changes, 20-30 sessions is a better estimate. The good thing is you can stop at any time and always pick it up again later if you so choose. Any training you have done in the past will always serve you well should you do more sessions in the future — no session is ever wasted. After a period of initial training many choose to do monthly sessions to give their brain a regular opportunity to defragment – just like your computer! Or, like many, you may choose to do a session when you feel it’s needed. But in the end, it is always up to you, because it is YOUR brain that is doing the training, and it knows what it needs. How long will the positive effects last? NeurOptimal® is a learning task, like learning to ride a bike or learning how to read: Once you know, you can’t not know, so the effects will remain. But your brain is also living tissue, and it can get knocked off by challenges, hormonal changes, pollutants in the environment and the stresses of our everyday lives. When this happens, a session or two can help you get back on track. Even if you come back many years later, the brain will recognize the NeurOptimal process and is reminded of the earlier shifts. It can find its way back relatively rapidly -– much more quickly than the first time you did the training. So, if you did a fairly complete initial training (say 20-30 sessions), and then have a major challenge like an illness, the loss of a job or a relationship, or even a head injury, your brain can quickly and efficiently use the information it receives from NeurOptimal to reorganize itself and find its way back. Once you have completed your training, you will always have NeurOptimal as a resource for your brain health. Package of 6 sessions at $95 each. $570. Package of 10 sessions at $90 each. $900. What can the Brain Change Center do for you? Results take place gradually, within a few sessions your progress is noticeable. 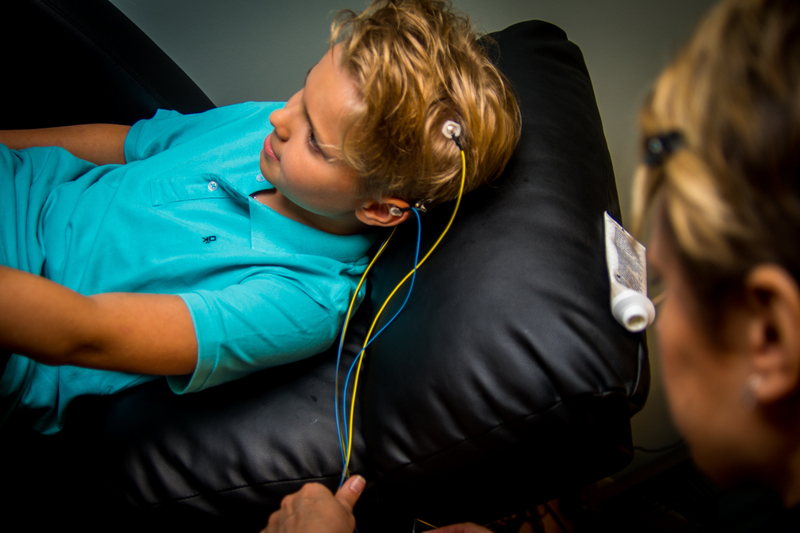 Neurofeedback takes on the problems of brain dysregulation. These include anxiety and depression, sleep issues, moderate to severe headaches, emotional disturbances, brain conditions, attention and behavior disorders, and hormonal disturbances. 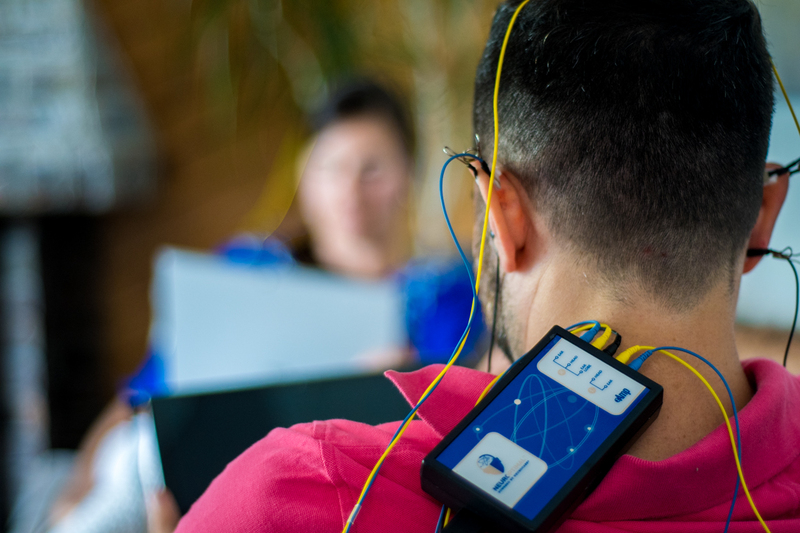 EEG Biofeedback is a learning strategy, or an exercise you can do for your brain, that assists you in altering your brain waves. Once you provide some information about your brain wave characteristics, it’s possible to train yourself to change your own brain waves. By utilizing brain mapping (examining the patterns of your own mental strengths and weaknesses), we pay very close attention to the details of your sessions and make sure that your training stays dynamic and your sessions are effective. 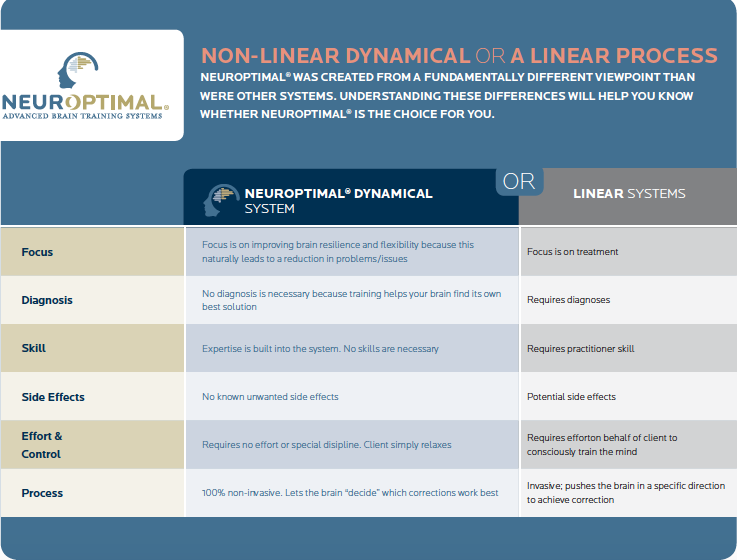 Instead of targeting specific symptoms, NeurOptimal® focuses on optimizing overall brain function. This approach naturally ameliorates most complaints, whatever their source. NeurOptimal is globally effective while remarkably free of unwanted side effects. Each brain is unique and knows the best way to correct itself for improved efficiency. and given the right information, the brain can naturally optimize itself. Note: Much of the content of this web site is courtesy of NeuroOptimal and the Zengar Corp.